Appropriation Bill Tabled at the Parliament ! – Maximum Funds For The Defense Again! 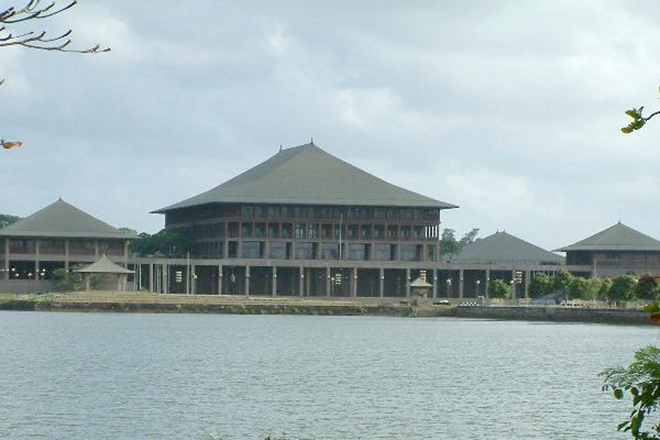 Financial Minister Mangala Samaraweer, on behalf of UNP Government moved the Appropriation Bill for 2019 budget yesterday(5) in Parliament, The bill sought the approval of the parliament to raise and spend Rs. 4.47 trillion during the year 2019. The highest recurrent allocation of Rs. 393 billion is for the Ministry of Defence. The Highways and Road Development and Petroleum Resources Development Ministry has been allocated Rs. 176 billion, Health Ministry Rs. 187 billion, Agriculture Ministry Rs. 114 billion, Education Ministry Rs. 105 billion, Public Administration and Disaster Management Rs.263 billion, Provincial Councils and Local Government Ministry Rs. 292 billion, Megapolis and Western Development Ministry Rs. 50 billion and City Planning and Water Supply Rs. 127 billion.